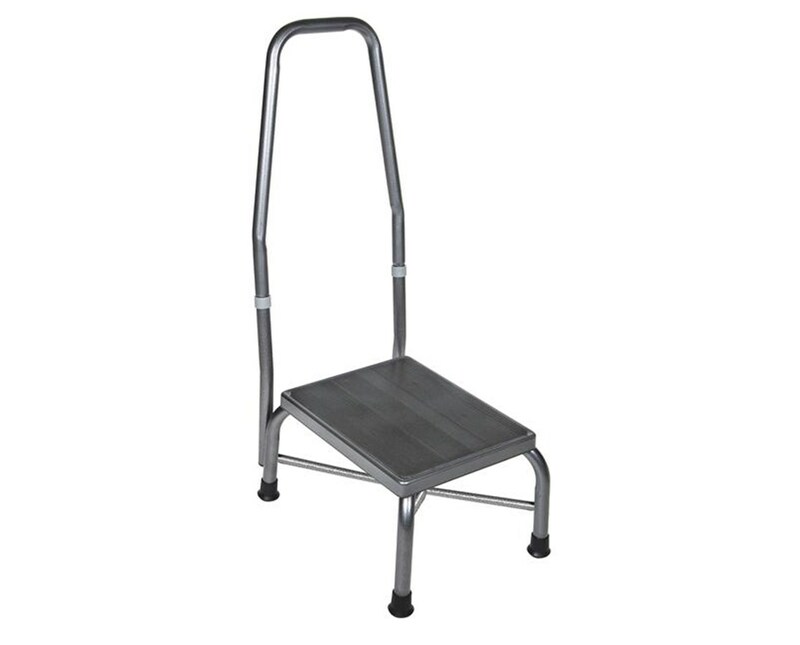 A handrail provides additional support and safety on this foot stool by Drive Medical with steel-welded silver vein construction. 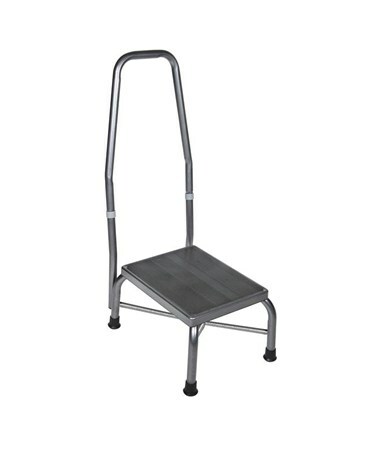 The non-skid, ribbed rubber platform provides stability, as do reinforced rubber tips on the legs. The product is protected with a limited lifetime warranty. 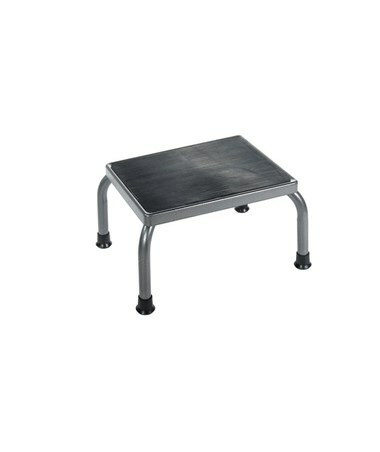 This Foot Stool is available with or without Handrail option. Selection available at the top of the page.